There’s a fun clicking sound when you push down the handle. There’s even a toilet paper holder. With songs to learn and encouraging phrases and sounds to discover, the Cheer for Me! Potty really does make potty training fun! Because it looks similar to a real toilet, it encourages kids to make the transition to the grown up "potty". Songs and sound effects reward success and provide motivation for return trips. Realistic elements of potty encourage transition to grown-up toilet. Bowl removes for easy cleanup. Can be used on a regular toilet seat to help with transition. Make potty training fun with Fisher-Price. 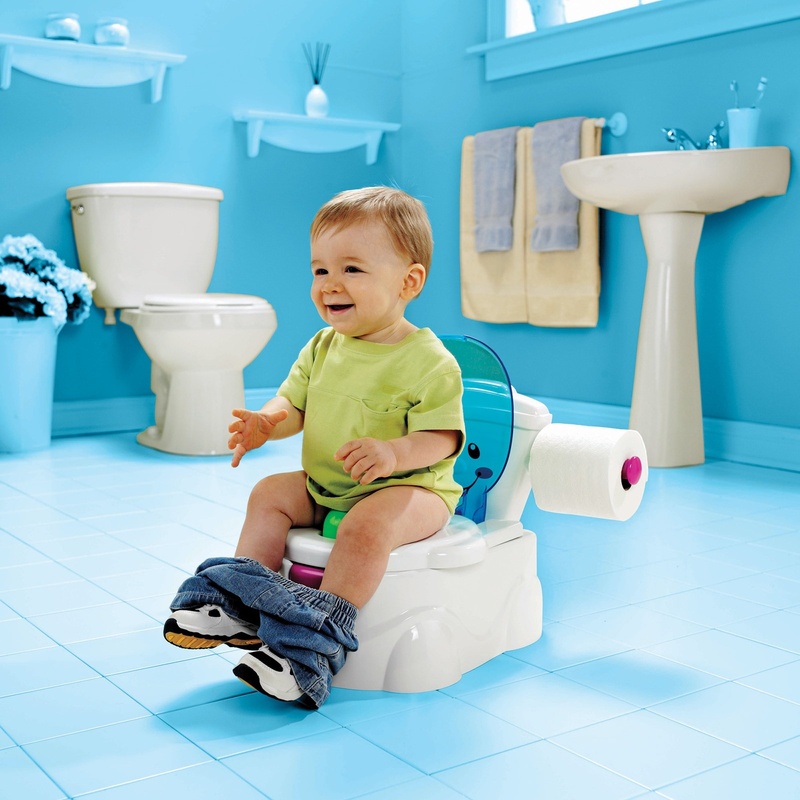 With songs, phrases and sounds, your child will love learning to use the potty while the 'real' toilet appearance will help them become familiar with the concept. With songs to learn and encouraging phrases and sounds to discover, My Potty Friends makes potty training fun! Features a click noise when you push down the handle and includes a toilet paper roller. 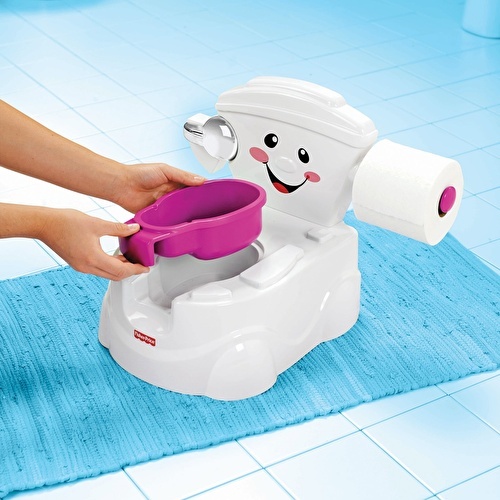 It looks similar to a real toilet and familiar to your child, this potty encourages the transition from a potty seat to the grown-up toilet. You can even use it on a regular toilet seat. Bowl removes easily for cleaning. Joy of learning for your kids! Sounds, songs & phrases encourage & reward.